ALGIERS (Reuters) – About 2,000 people rallied in central Algiers on Tuesday calling for the resignation of President Abdelaziz Bouteflika, keeping up the pressure after weeks of protests that threaten to topple him and the ruling elite which has helped keep him in power for 20 years. Bouteflika, one of the veterans of the 1954-1962 war of independence against France who dominate the country, bowed to protesters this month by reversing a decision to seek another term and postponing elections that had been scheduled for April. But Bouteflika stopped short of quitting as head of state and said he would stay on until a new constitution is adopted, effectively extending his current term. 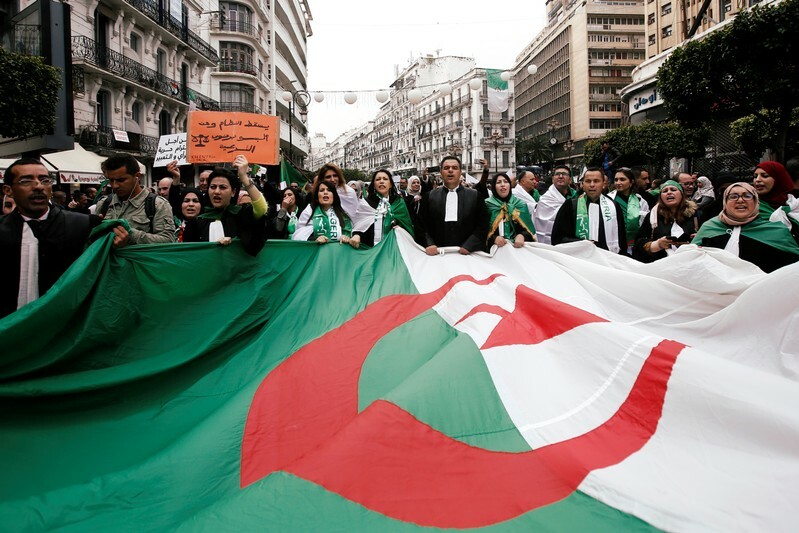 The move failed to placate hundreds of thousands of Algerians who have taken to the streets for nearly five weeks to demand that Bouteflika quit along with his allies. “The system must go. There is no point for it in resisting,” said Belkacem Abidi, 25, one of the thousands of protesters, most of them students, who gathered in downtown Algiers on Tuesday. So far the chief of staff has distanced the army from Bouteflika and praised protesters.